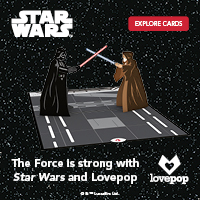 We love Star Wars, and we love greeting cards! When the two come together, it is true love! Take a moment and be in awe! 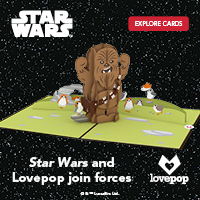 Check out the great designs inspired by the battles from the galaxy far far away! Let your message pop up!